When my wife and I moved to the Los Angeles area five years ago, we quickly discovered the Jonathan Gold 101 List. Compiled annually by the legendary food writer, this list of the 101 Best Restaurants was the ultimate guide to eating your way through the neighborhoods which make up the sprawling metropolis of LA. Being the foodies we are, this qualified as our main form of entertainment in our new home town, and we commenced checking restaurants off the list. What strikes you almost immediately is the vast diversity represented in Gold’s list. Alongside the French-inspired, fine-dining establishments, you will find a gelato shop next to a Rite-Aid, a taco truck dealing out octopus quesadillas, and a charming Chinese restaurant in a strip mall with the decidedly non-hipster (or maybe ultra-ironic-hipster?) 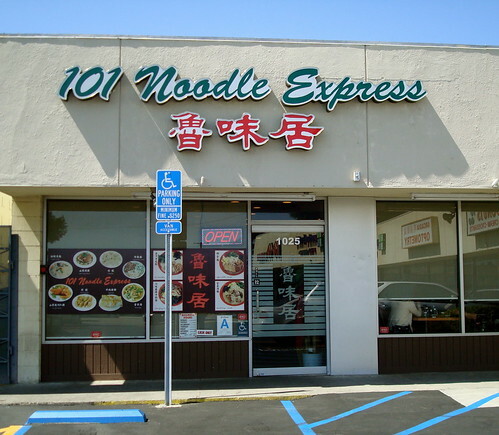 name “101 Noodle Express.” When we tried this one out, we noticed that there were virtually no store signs in English on this street, and we were the only white customers eating there. Gold had raved about the “Shandong-style beef roll,” with its crispy exterior and savory black bean sauce, so we ordered one, sipped our tea, and waited anxiously. It was one of the most delicious meals of my entire life. Gold, who died of pancreatic cancer last month at the age of 57, was unique in the way that he sought out hole-in-the-wall places and traditional restaurants in ethnic enclaves and gave them the same honor and attention as restaurants with Michelin stars or “celebrity chefs.” His goal was different than most of his colleagues: “I am trying to democratize food and trying to get people to live in the entire city of Los Angeles,” he said in a 2015 interview with Vice. “I’m trying to get people to be less afraid of their neighbors.” That neighborly fear has a long and troubled history in LA. “Since the beginning of the 20th century, Los Angeles has been geographically divided by ethnicity. In the 1910s, the city was already 80% covered by racially restrictive covenants in real estate. By the 1940s, 95% of Los Angeles and southern California housing was off-limits to African Americans and Asians.” Like many cities, government-engineered housing segregation coupled with individual actions to maintain strictly racialized neighborhoods birthed a Los Angeles that still today reflects the stark boundary lines of earlier decades, and perpetuates the sense of fear and unease when traveling into a new and different community. 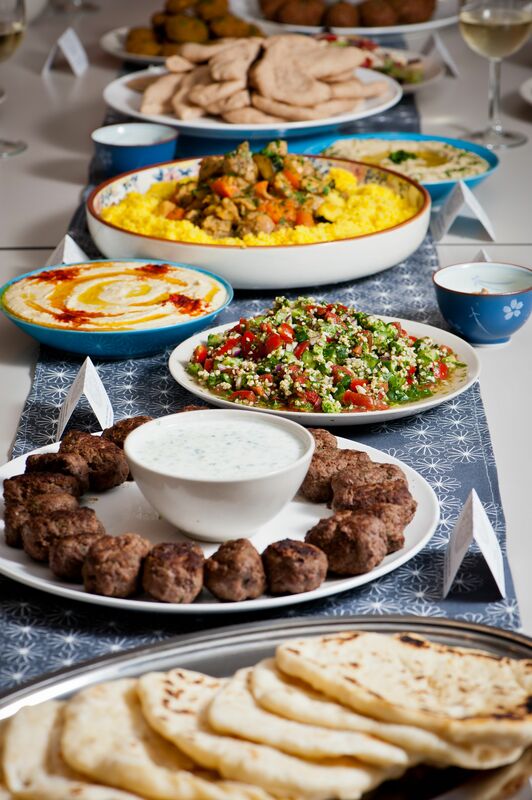 If Gold had not lured us with the promise of a delicious meal, I don’t know when or if we would have ever found ourselves on “that side of town”, talking with “those people”, and discovering something new, exciting, and wonderful along the way. In the end, that is what happens when you leave your comfort zone and encounter other cultures, or seek out people very different from you—you learn something. You gain a different perspective of yourself, your world, and most importantly who God is and how God operates. Ephesians 3:10 is usually translated (such as the ESV rendition): “…so that through the church the manifold wisdom of God might now be made known to the rulers and authorities in the heavenly places.” But that word “manifold” carries the concept of being multi-faceted, multi-colored, ultra-diverse. As the NRSV puts it, the church shows “the wisdom of God in its rich variety…” Simply put, to be a church that faithfully and fully communicates the wisdom of God to the heavenly authorities, we must embrace and seek out the rich, diverse buffet of cultural expression—from churches around the world, and from those across town. That means approaching our differences as treasures to be discovered and valued, not as cute novelties or, worse, with suspicion that they are somehow theologically inferior. We need each other. We are less than whole without each other. Earlier this year, we read the book “Gracism” by David Anderson. In it, he interprets 1 Corinthians 12 in the context of these cultural, racial, and ethnic differences. Paul admonishes us: “14 For the body does not consist of one member but of many…21 The eye cannot say to the hand, “I have no need of you,” nor again the head to the feet, “I have no need of you.” 22 On the contrary, the parts of the body that seem to be weaker are indispensable, 23 and on those parts of the body that we think less honorable we bestow the greater honor…” That is the way that Jonathan Gold wrote – mom-and-pop strip mall restaurants and taco trucks, that other connoisseurs might have written off, were given “greater honor” in order to highlight the good food that they were making. He elevated and lifted up those people who had no fame or privilege beyond their ability to make something delicious to eat. In a similar way, we should seek to give preferential treatment and special honor to those traditions, people, and practices that hold wisdom, beauty, and truth that we might be missing. John’s Revelation depicts the culmination of history in the kingdom of God as being like a marriage feast (19:9). I particularly love this image of sitting down at a giant banquet in the new Jerusalem, where “they will bring the glory and the honor of the nations into it…(Rev. 21:26)” This is not a party where we assimilate into one homogeneous way of being, but rather where every nation, all tribes and tongues of the world (7:9) bring God honor and glory in their own unique ways. It’ll be something like the potluck Thanksgiving dinner we enjoyed with church friends last November: traditional turkey and mashed potatoes right next to Korean kimchi and Nigerian brown beans. I for one am longing for that heavenly potluck, and am personally hoping somebody remembers to bring the beef rolls. Patrick is Director of Worship and Administration at St. Luke’s Anglican Church in Glendale, California. He is husband to Jen, father to Peter, Betsy, and Timothy, and a long-suffering fan of the Baltimore Orioles.